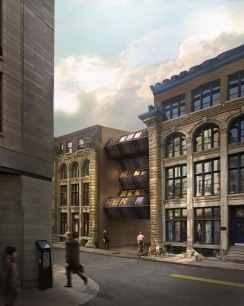 Take a look at Houseporn.ca's interview with the 2018 Canadian Centre for Architecture's winners and their interesting take on integrating housing within the existing built landscape. 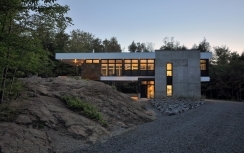 Designed by ESPACE VITAL architecture, this modern spacious house was strategically built over a large boulder in Sherbrooke, Quebec. 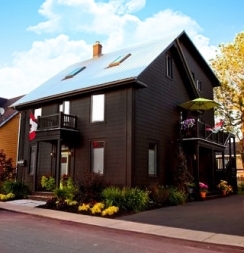 Atelier Pierre Thibault creates a contemporary domestic masterpiece in Rivière-du-Loup, Quebec! 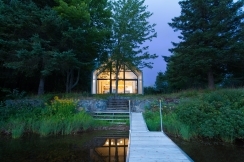 Window On The Lake by Quebec's YH2 embraces its Canadian setting. 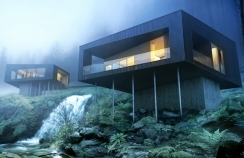 I'm obsessed with black houses in any setting, but there's something magical about a black structure nestled in Canada's natural landscape. 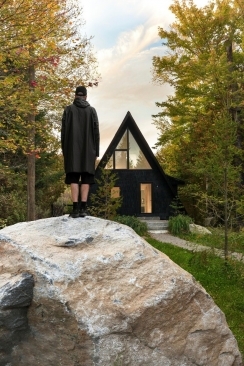 The Aframe Rehab By Subtraction retreat in Quebec isn't your typical cabin in the woods. 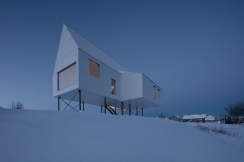 The High House - by architectural firm Delordinaire - is a visually-arresting winter escape near Quebec City in Quebec. 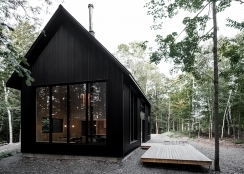 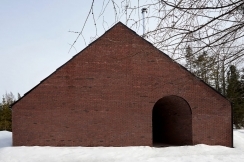 Nestled in the Quebec woods, Appareil Architecture designed a visually-arresting pair of black structures in the shed vernacular, linked by decking. 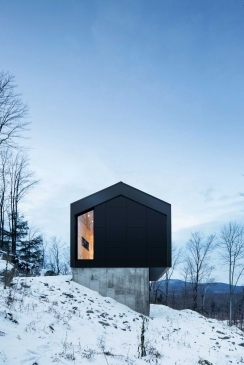 The sharp lines and dramatic balance of the Bolton Residence by Naturehumaine mirror the rugged Eastern Township of Quebecs' mountainous landscape. 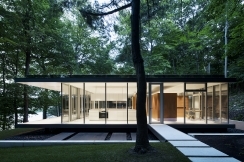 Montreal architecture firm Daoust Lestage designs a lakeside home, which seamlessly blends modern architecture with the surrounding wilderness. 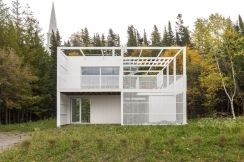 See this remote home in Quebec with a unique approach to the typical A-Frame structure. 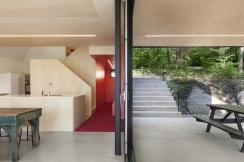 STOA Architects created the perfect Quebec country home for a young couple who embrace indoor/outdoor living.